We offer an assortment of tooth jewellery for natural teeth. The range includes 24k yellow gold & 18k white gold. 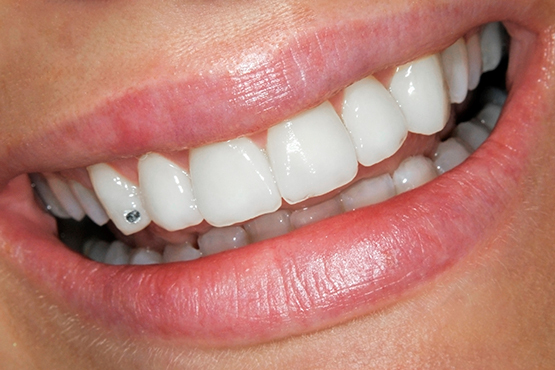 This is a non-invasive procedure and does not require any drilling/damage to your own teeth. The embellishment is simply bonded to your tooth. Our dental lab offers gold, silver & other jewels for denture embellishment.